Our customer, Gary built this amazing shed on his property about 3 years ago. 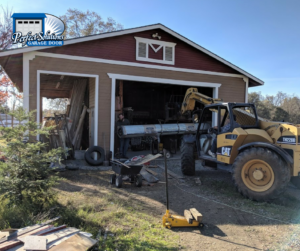 When he built the shed, however, he left the side open with the hopes of one day installing a door to enclose it. 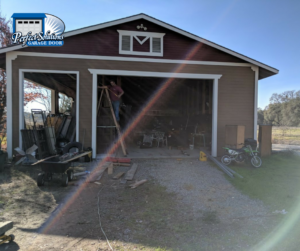 This past fall, he decided it was time to finally invest in a good commercial garage door to complete the shed. Gary had critters in and out of his shed all the time, and it just didn’t make sense to not have the opening closed up. The commercial garage door size he needed at 16×11. We went with a commercial roll up garage door to suit his needs. We ordered the door, and got to work! The door was BIG. And heavy! 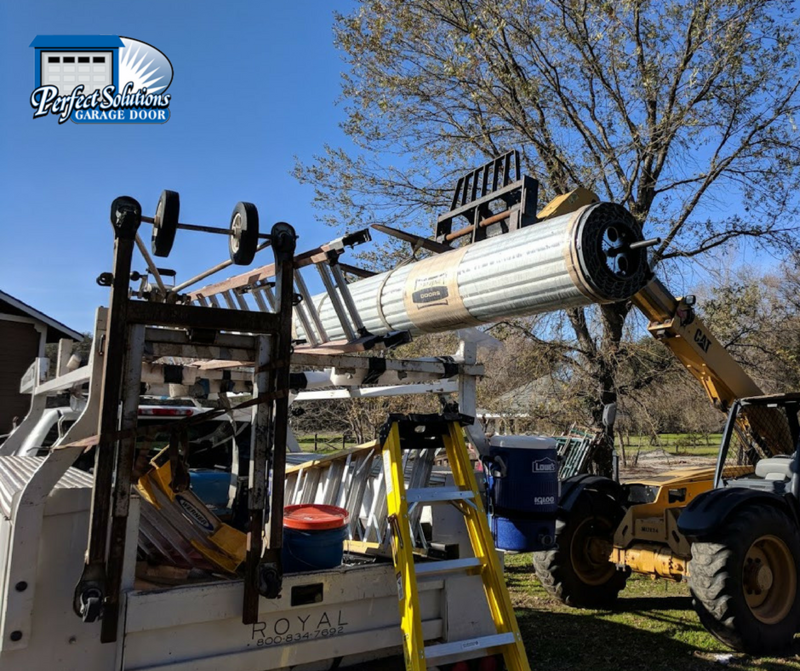 Thankfully Gary had the right equipment to get it unloaded! Once installed, it looked great! Gary is super happy and now his shed is completely closed off from the elements, so his things and space are protected! There are many options to choose from when looking at commercial garage doors. You can pick full-view doors. These are great for restaurants or retail businesses looking for an industrial look. Gary of course chose a durable industrial roll up garage door. It works for Gary’s shed, as well as auto shops or warehouses that have things to store. Industrial doors help insulate the space and help with climate control, which is great for many types of applications. 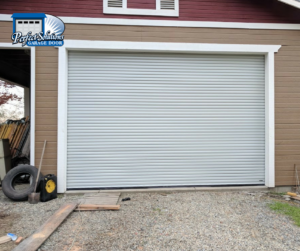 The roll up garage door that Gary chose comes in many colors, as a standard. So anyone can get a unique and custom look. It’s always great when doors come in standard colors beyond grey, beige and white, as it saves the hassle of painting the door once it’s installed. Just like a residential door, you can insulate commercial garage doors as well. They also sell fire and smoke rated models made from steel and aluminum. These options are great depending on where you live and what you are storing inside your space.